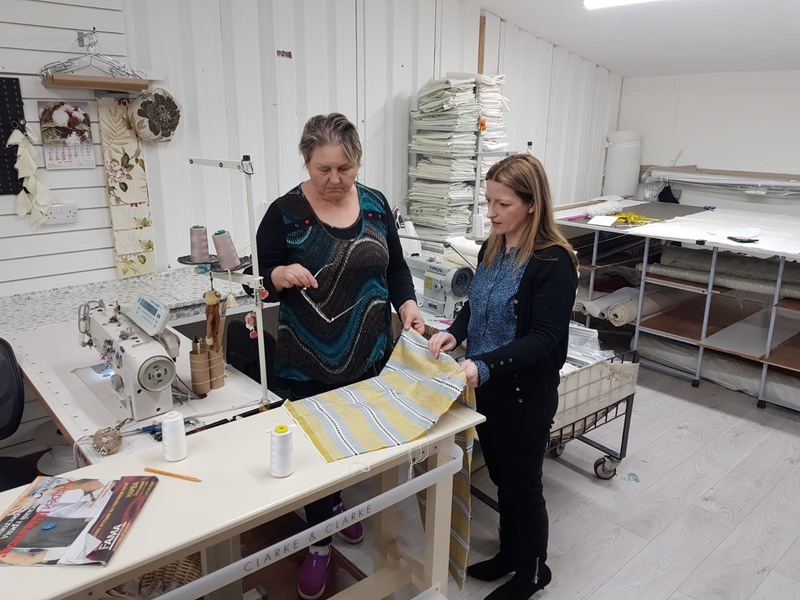 ThinkBusiness travelled to Donegal to speak to Claire McDonough, co-owner of La Maison, who says Donegal business owners are survivors and won’t be broken by Brexit. Myself and my business partner Anne Blake started the company in 2005 following two years of research. We were both working for Donegal County Council at the time and the idea was born to have a high-end quality gifted home store after being invited to lots of weddings. We visited 52 shops all over Ireland and heavily researched everything and La Maison was the result of all our analysis. After opening, everything was going great when all of a sudden the recession hit and with that we decided that we needed to spread our offering so we retrained as interior designers. We’re now a team of six and have grown our interior design service to the point where the retail aspect is only 10% of our turnover. 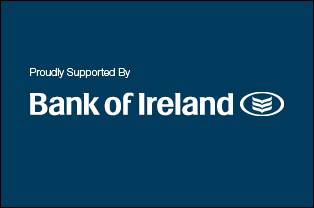 How difficult was it to stay afloat during the recession? It was extremely difficult. We didn’t have a lot of staff at the time and we had to cut our costs as much as possible. We upped our engagement with customers and held a lot more events to grow our reputation but there were many times when we didn’t even take a salary for ourselves, but that’s what was required. Brexit is going to be a massive challenge. I’ve spoken to other people in our sector and also in the county and there is a lot of panic around. But I’m looking at it a little differently. I really love what I do and I’ve worked too hard to build the business so I refuse to be defeated by Brexit. To combat this, we are currently working on new projects with one being Wild Atlantic Interiors. 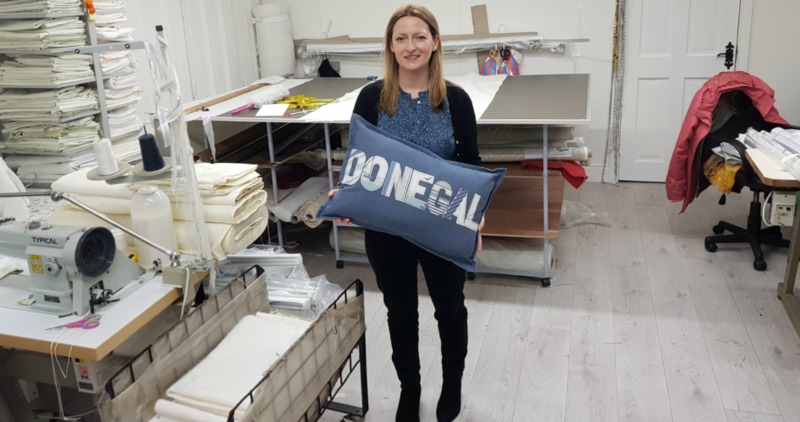 The one thing Brexit cannot take away is the beauty of County Donegal and because Failte Ireland put so much into creating the Wild Atlantic Way, we’re creating our own range off the back of that, beginning with cushions based on locations in the area. We also have a nursery range with lovely Donegal hares and bunnies. Do you sell into the UK? Not so much because a lot of our products are bought by homeowners in Donegal or possibly tourists visiting the area. But in saying that, the supply chain is a concern because of where I get my materials. Around 90% of my suppliers come through the UK so that’s going to create a challenge for the business. I’ve spoken to our reps asking about their Brexit plans and at the moment they don’t have any so that is a concern. Are you developing new markets? Yes, I’m definitely open to moving into new markets and trying to help grow the business. In a way, that’s why I am testing the Wild Atlantic Interiors. We have done holiday homes via Skype for people in the United States who have holiday homes here. If I can source their fabrics from the US and bring them over and do it in a way that is financially viable for both them and us, then I am happy to do that. I think we (Donegal business owners) have developed the skills for survival, that’s for sure. For us companies up here, if we survived the last recession, we’ll be able to get through Brexit. It just takes coming up with a creative way to combat the challenges that Brexit brings. The most important thing in business is to know your customer’s needs and that’s our focus.